If you want to see my rating on any of these books click on the Goodreads button on the right. I have been reading the Quinter Bride series since the first book, Shotgun Bride came out and Wildcat Bride was on the list of books I was looking forward to in 2011. The wait ended this week when I received a free copy of Wildcat Bride from Wild Rose Press. There has been a different twist to each book in the series and Wildcat Bride is no exception. Unlike the previous Quinter sons and their brides there will be no shotgun wedding for these two. I first met Bug and Eva in Shotgun Bride and they have been present in all the previous books. They are in love but have not been together for several years. Bug’s big love is oil and Eva’s is painting. During the last three years Bug has been in Pennsylvania learning the oil business while Eva has become a rising star in the art world with her western theme painting. When they meet in New York sparks fly and not all the good kind. Both return to Kansas and when they try to get married Ma uses her shotgun to prevent their wedding. Both Bug and Eva must adjust to the way each has changed in the last three years. What follows is a wonderful story filled with many different forms of love. Lauri Robinson writes wonderful romantic stories and Wildcat Bride is no exception. Her well-drawn characters are people you would invite into your homes and your hearts. They face challenges with grace and humor, are loyal to a fault, admit their mistakes and act out of love. The villains get their just desserts and the good guys come out on top. In some ways I hated to finish the book because Bug was the last Quinter son to find a bride. However, there is a hint of romance for Ma. Will Ma get her own story? I guess I will just have to wait and see. (I did an interview with Lauri in December. Follow the link to see what she had to say about Ma). Wild Rose Press published Wildcat Bride by Lauri Robinson in 2011. I would have purchased Texas Blue just to get the cover. I love the wildflowers that bloom in Texas every Spring and the bluebonnets are my favorites. I looked at the cover and thought “Oh, Texas in the Spring!” The fact that the book was by Jodi Thomas and was a Whispering Mountain Novel made it even better. Emily McMurray (Em) and her two sisters grew up on Whispering Mountain and Em has no intention of every getting married. When her cousin Duncan McMurray sends three bachelors to the ranch as prospective grooms Em has a friend take her place. Lewton Paterson has never belonged and would love to have a family and home. In a card game he wins one of the bachelors train tickets and takes his place. Nothing works as planned. Lewton is not comfortable with the sisters and decides to use his time to find out about ranching and Em is the one he asks to teach him. Both are surprised by what they discover. 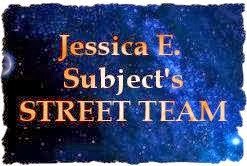 Jodi Thomas has again written a great story filled with interesting characters, great action, danger, tension and romance. These are the children we met in the first books set on Whispering Mountain. I read where Jodi says there will several more books in the Whispering Mountain series. Berkley Books published Texas Blue by Jodi Thomas in 2011. I purchased Texas Blue from Borders. Caveat Emptor is the fourth and latest book in Ruth Downie’s Roman Empire series. I just recently discovered this series and it has become one of my favorites. It was nice that there were already four books out and sad because Caveat Emptor is a recent release and I will have a long wait for the next book. Caveat Emptor is the first one I have listened to as an audio book. Simon Vance is great as the reader. He knows just when to pause and what tone to use to get the dialog just right. In Caveat Empton Tilla and Ruso are newlyweds and are back in Britannia. Valens has promised Ruso a job but when he arrives he finds that the job is not in medicine. Instead he has been appointed as the Inspector to find a missing tax collector and more importantly the missing tax money. From there Ruso and Tilla are off and running on a new adventure. There are new characters, and some old enemies combined with murder, threats and a lot of action. As usual Tilla both helps and hurts Ruso’s investigation. Ruth Downie has continued to develop her two main characters. I love both Ruso and Tilla and always get a lot of laughs out of the interaction between the two. Ruso would be a very dull character without Tilla while being with Ruso has allowed Tilla the freedom to explore new avenues. I was so identified with both Ruso and Tilla that something that came out near the end of the book left me feeling sad for both. You will have to read the book to find out what. The setting adds to the story. The Roman influence in Britannia is often forgotten and yet they were there for 400 years. I really enjoy learning more about that time while reading a really good mystery. I am looking forward to the next book. Tantor released the reading of Caveat Emptor by Ruth Downie in 2011. I checked out Caveat Emptor from the Rogers Public Library. Alien in the Family is full of surprises. Kitty and Jeff are planning their wedding when a brand new complication comes up. It seems that Jeff is descended from the Alpha Centaurion Royal Family and emissaries from the family are coming to Earth to test Kitty’s fitness to be a royal bride. Of course that is not all that shows up. Expect several new species of aliens, some friendly and some not. Kitty also gets a new alien pet, one that is fuzzy and cute, and a new alien female best friend. Through it all it is Kitty who sees the big picture and saves the day. The wedding does take place but rest assured, there is little resemblance to the coming wedding of William and Kate. Once again Gini Koch delivers a fun story full of action, adventure, and romance. Alien in the Family is full of wonderful characters that are ripe for more adventure. The next book in the series, Alien Proliferation, will be available in December. Maybe we will find the answer to one of Kitty’s big questions. Why none of the Dazzlers are coming on to Chuckie. After all they love men with brains and in the brain department Chuckie stands out. DAW published Alien in the Family by Gini Koch in 2011. I ordered Alien in the Family from Amazon. 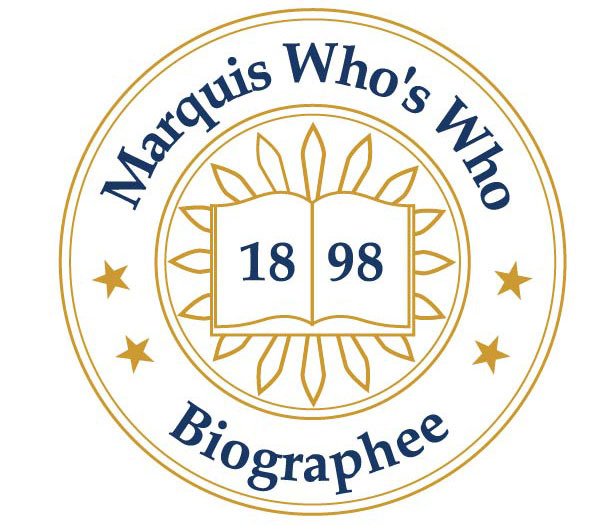 When I learned about Networked Blogs on Facebooks at the Book Bloggers and Publishers Online Conference I went over and registered Mixed Book Bag. Now all of my posts go on my Facebook page. Follow this link to become a follower and you will automatically get every post. There is also a widget at the bottom right-hand side of the blog where you can sign up to become a follower. The River of Shadows is the third book in the Chathrand Voyage series. I have been following the series since it began and when I got the chance to get an advanced copy through the Vine program I jumped at opportunity. I recommend reading the series from the first as each book has additional world building and each book adds characters. In The River of Shadows I saw small glimpses of characters from the previous books and I would not have understood who they were or what they were doing if I had not read the previous books. All of the previous characters are also there and still in the thick of the action. Robert V.S. Redick’s world building is very complex. It is also filled with a growing cast of characters. I found that I had to read the book in small bites instead of just one continuous read. If I did that I had time to for the action to settle and it was much easier to keep up with everything that was happening. If I rushed I missed something of importance and had to go back or be lost. The story does not end with this book. A fourth book will be published in 2012. My one complaint with the book is that at least one interaction between the main characters did not make sense but was used to move the plot forward. I don’t like spoilers so I will leave it to you to see if it was as jarring to you as it was to me. Del Rey published The River of Shadows by Robert V.S. Redick in 2011. I received The River of Shadows free through the Amazon Vine Program. Follow the link above to download Photographs and Phantoms Free. I don't know how long this will last. I got the email today. I read and posted on Steam and Sorcery by Cindy. I really enjoyed that book so I have high hopes for Photographs and Phantoms. Call Me Irresistible has all of the Susan Elizabeth Phillips' trademarks. There are all the moments I could not continue to read I was laughing so hard. Add cast of quirky characters and a solid plot, and you have a great story. There are also old friends from some of Phillips’ other books to add additional interest to the story. Meg Koranda comes to Wynett, Texas to be in the wedding of her best friend Lucy Jorik to Ted Beaudine. Right away Meg senses that the match is not a good one for Lucy and when Lucy leaves Ted at the church Meg gets all the blame. When Meg has no money to pay her hotel bill she get stuck in Wynett. The whole town hates her, Ted Beaudine is out to get her and she has to take a job cleaning hotel rooms to pay her bill. (Did you notice any familiar last names? Yes, each of the characters is the child of the main characters in another book.) Things get much worse before they every get any better. If you are a Susan Elizabeth Phillips fan you will not be disappointed when you read Call Me Irresistible . If you are not a fan you will be when you finish the book. William Morrow published Call Me Irresistible by Susan Elizabeth Phillips in 2011. I got Call Me Irresistible free as an Amazon Vine member from Amazon. Set in England after World War I Search the Dark has two main characters. At first glance Inspector Ian Rutledge is the main character but we soon meet Hamish, a character who lives only in Ian’s mind. Hamish and Ian both fought in World War I and Hamish moved in with Ian after he was shot for refusing to obey an order. Ian was the one ordered to shot and kill Hamish. The two make an unusual pair of protagonists. Trouble starts in Search the Dark when Mowbray, a mentally unhinged veteran, believes he sees his wife and children on a railway platform in a small Dorset town. His wife and children were believed to have been killed in a London bombing raid during the war but when a woman is found murdered with her face destroyed Ian is called in from Scotland Yard. The local inspector in charge believes he has an open and shut case but Ian does not agree. Ian and many of the characters in Search the Dark are trying to deal with the after effects of the war. As Ian investigates he uncovers facts and events that do not match. Did Mowbray really see his wife and children? Who is the murdered woman? Where are the children? Then the body of another woman is discovered. Is there a connection between the two murders? All of this while Ian tries to deal with the presence of Hamish. The conservations between Ian and Hamish are very real. Both are powerful characters that lend additional conflict to the story. World War I had a long lasting and devastating effect on the people of Britain and that is reflected in Search the Dark. Charles Todd uses the history and background of this time to add depth to the story. Search The Dark is part of a series but is not the first book. I had no trouble keeping up with the action but will go back and read the two previous books. St. Martin’s Press published Search the Dark by Charles Todd in 1999. I checked out Search the Dark from the Rogers, AR Public Library. If any of you reading have a book blog it is not to late to register for the Book Bloggers and Publishers Online Conference. It started Wednesday and every session is recorded so if you cannot attend live you can listen later. I highly recommend attending. Wednesday's sessions were filled with great information. Go to the BBP blog and check out the schedule for yourself. Below is one of the Friday Sessions. 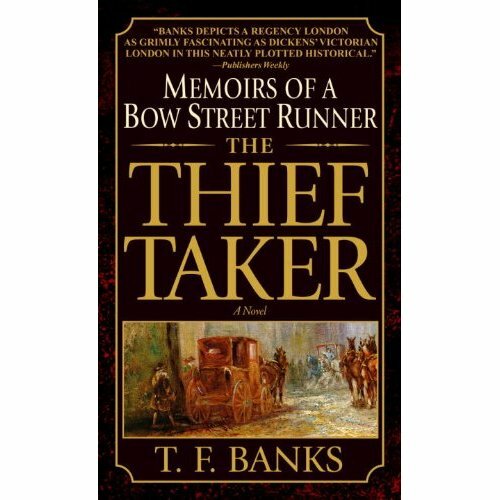 The Thief Taker is a well-written and complex mystery full of well-developed characters set in Regency London. When Halbert Glendinning arrives at a party apparently dead from asphyxiation Henry Morton, a Bow Street Runner, is called to the scene when someone feels that there is something strange in Glendinning death. His search leads him on an inquiry into the upper circles of London society. Morton follows a complex and strange path before finding the truth behind Glendinning’s death. The Thief Taker is the first book in a series that contains only 2 books. It is a shame because the series and the premise has great possibilities. I always hate it when good series does not sell well enough to continue. It would be nice but not likely if the authors could find another publisher to continue the series. 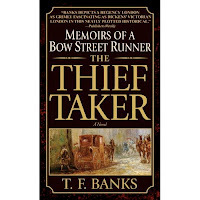 Dell published The Thief Taker by T.F. Banks in 2001. I purchased The Thief Taker from Amazon. Keys to the Castle is a modern fairy tale complete with happily every after. Donna Ball has written a fun story featuring a middle aged heroin. Sara Graves met and married Daniel, a dashing French poet, only to have him die three weeks later. A year later Sara must travel to France to settle Daniel’s estate. When she arrives she finds that the broken down castle Daniel talked about is in reality a estate. Chateau Rondelais, the castle, needs a lot of work but is Sara is soon charmed with the location, the locals and her late husband’s lawyer. Of course there are problems that at first seem insurmountable but it would not be a story if everything went smoothly. Keys to the Castle is a feel good read and it will go on my comfort book shelf to join others that I like to re-read. It is nice to have a HEA for those of us who are older. Penguin published Keys to the Castle by Donna Ball in 2011. I purchased Keys to the Castle from Amazon. Agent to the Stars is John Scalzi‘s practice novel. In the Author’s Note at the beginning of the book he says Agent to the Stars is “the novel I wrote to see if I could write a novel.” It was never meant to be published and was originally posted free on the web. I had seen it mentioned several times and even have the free version, which is still available, bookmarked but I really don’t like to read on the computer so I finally paid for the paperback version. When the Yherajk come to Earth to meet us their first contact is with a talent agent in Hollywood. They know presentation is everything and they have a small problem. The Yherajk are ugly and smell like rotten fish. What they need is a talent agent, someone to present them in a good light. That is where Thomas Stein comes in. It is his job to make first contact with the Yherajk a success. The premise is great and the story is fun. I think it is worth any Science Fiction fan’s time to read Agent to the Stars. Tom Doherty published Agent to the Stars by John Scalzi in 2005. I purchased Agent to the Stars from Borders. Book Bloggers and Publishers Online Conference is April 13 - 17th. This is the second year for the Conference. I just read about it on another web site and have signed up to attend. I do this blog for fun but am always looking for ways to improve what I do. The Conference looks like a good way to improve my blog. It is also a great way to interact with other bloggers. Steam and Sorcery combines steampunk, magic, and paranormal in a satisfying read. Sir Merrick Hadrian is a Knight of the ancient Order of the Round Table. On a mission in the London slums Sir Marrick is saved by a band of five children from an attack of vampyres. When the children offer to help him complete his mission he accepts their help. Recognizing the unique talent in each of the children and the fact that one of them is a Knight he moves them to his home creating chaos. What he needs is a governess and it seems his Aunt has just the person to do the job. Caroline is between jobs having just been dismissed from her last job after her employer tries to take liberties with her person. Of course Caroline, who thinks she is just ordinary, has talents of her own and soon she, the children and Sir Merrick are involved in a dangerous mystery. Steam and Sorcery has it all; monsters, romance, mystery, great characters, and a well constructed plot. I have had mixed results with the books I purchased from Carina Press. Steam and Sorcery is one I do not hesitate to recommend. Steam and Sorcery is an eBook. Steam And Sorcery is the first book in the Gaslight Chronicles. Look for the second book, Photographs and Phantoms, to be released April 25th, 2011. Carina Press published Steam and Sorcery by Cindy Spencer Pape in 2011. Lisa Paitz Spindler has set The Spiral Path in a unique universe. Terra and Creed are located in different dimensions. The wormhole that opens up to connect the two is called the spiral path. Only children with one parent from Creed and one parent from Terra can stay in either dimension. Others must limit their time when they travel between the two. Star Ship Captain Lara Soto is a Chimeran, a child of both Terra and Creed. Lara was part of the Terran Star Union until Terran tried to turn the Chimeran’s into a weapon against the Creed. When the Creed did the same she became the leader of the free Chimerans. Lara is drawn back into action with both Terra and Creed when her twin brother goes missing during a wormhole experiment. She must work with Star Union Commodore Mitch Yoshida, the man she left behind, to mount a rescue operation. Both must work to overcome the past and rebuild trust or they will fail. The Spiral Path has romance, tension, conflict, a large cast of characters, and a very good story. Lisa Paitz Spindler does a great job of working in back-story and world building in a novella length story. I found myself wishing that she had chosen to make the story novel length. There is enough depth to support a novel. Maybe she will continue writing in this world. The foundation is certainly there. Carina Press published The Spiral Path by Lisa Paitz Spindler as an eBook in 2011. I pre-ordered The Spiral Path from Barnes and Noble.